A "mini duvet" is used to describe a mini duvet set, which differs from duvet sets in that they are not a complete set of bedding which includes a dust ruffle or bed skirt. 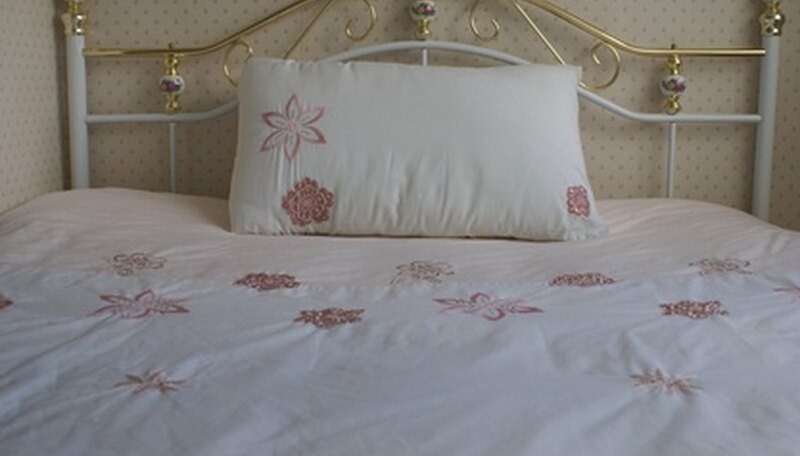 A mini duvet set includes the duvet cover and matching pillow shams. Pillow shams are decorative pillow cases that match the duvet fabric; they are either a complementary color or the exact same fabric of the duvet cover. A duvet cover is different from a comforter. A comforter is a decorative bedspread with stuffing sewn inside by the manufacturer of the comforter. A duvet cover is a decorative cover that is sold separately on its own and is put over a non-decorative comforter by the purchaser. Down comforters (or synthetic down) are not made to be decorative on their own, and need a duvet cover put over them. Mini duvet sets vary much in their cost. The cost is largely dependent on the fabric it's made from, where it's purchased and the size of the duvet. Mini duvet sets come in standard bed sizes: twin, full, queen and king. Twin duvet sets will be less expensive than the larger sizes. Fabrics like silk, satin and brocade will be more expensive than cotton. Cotton with a small thread count will be cheaper than cotton with a high thread count. You can expect to spend between $50 and $100 for a quality set, as of January 2010. Mini duvet sets are sold in any home goods store that sells bedding. Places like Overstock.com and WholesaleBeddings.com offer a variety of sets that are discounted. Mini duvet sets are less expensive than complete duvet sets because they include less bedding. Duvet sets are a cost effective way to change the style of your bedding without buying a complete set of new bedding. Once you have the comforter you only need to buy a new duvet cover (or mini set) for a different look. Many duvet comforters are machine washable, and easy to wash at home. Decorative comforters will take up an entire washing machine or need to be dry cleaned.